Wheel Club is open to Cyr wheelers and German wheelers of a variety of skill levels. It is an open session with no instruction, but spotters are available. Brand-new Cyr wheelers are welcome and may use wheels that MCS members already own. German wheelers must have some prior experience (such as a beginning wheel class series) or instructor permission to attend. Join us! Contact Erin Syverson (Cyr wheel) at erinlsyverson@gmail.com, Juliet Sanders (Cyr wheel) at jmtsanders@yahoo.com, or Carly Schuna (German wheel) at carly.schuna@gmail.com. See the Wheel Club policy below! Wheel Club is an open practice time. It is not a time for formal instruction. Wheel Club hosts do not assume any liability for any Wheel Club participants. Wheel Club hosts reserve the right to ask any participant to stop practicing a particular movement or to leave the facility if they believe that participant is not exercising caution or adhering to proper safety protocols. Wheel Club is open to all Cyr wheelers, including complete beginners. Because all Cyr wheels are privately owned, brand-new wheelers must check in with club hosts to see which wheels are available for their use. Wheelers performing advanced maneuvers or inverting in their wheels should always wear appropriate safety gear and ask for trained spotters while still learning. 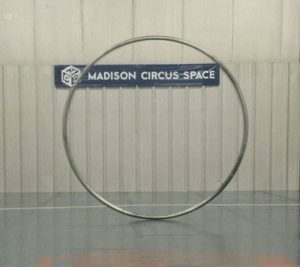 Wheel Club is open to German wheelers who have completed a six-week Beginner class series or have equivalent prior experience. Complete beginners must obtain prior permission to come and may only participate with the assistance of an instructor. Wheel Club is a time for wheelers to practice movements they have already learned rather than to attempt new skills. Wheelers should always ask for trained spotters and wear appropriate safety gear, if applicable, while practicing movements over which they don’t yet have complete control. If trained spotters are not available, wheelers should stick to movements that present a low risk of falling and that they know how to get out of safely. Skill sharing is permitted for movements that do not involve inversions out of straps (i.e. cartwheel variations, low sit rock and stomach rock, etc.). 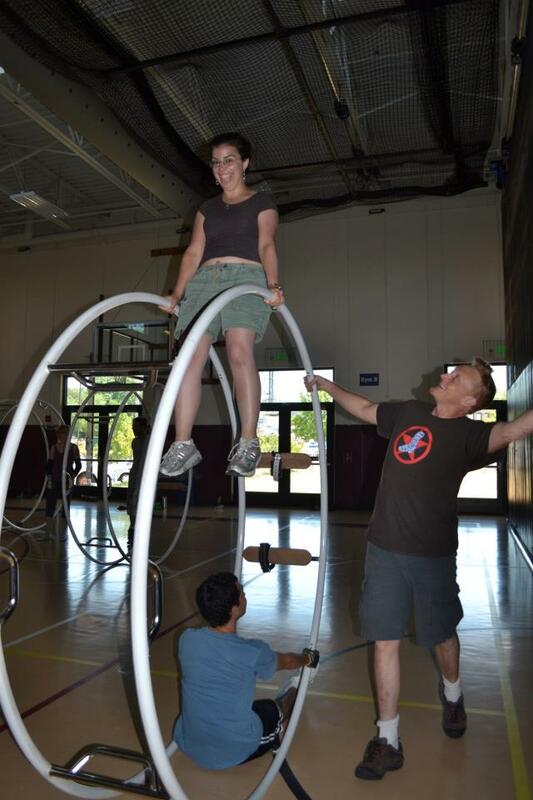 Approved instructors are permitted to teach more advanced movements during Wheel Club time, but participants who are not instructors may not attempt to teach those movements.